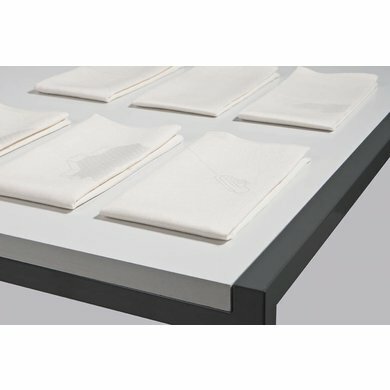 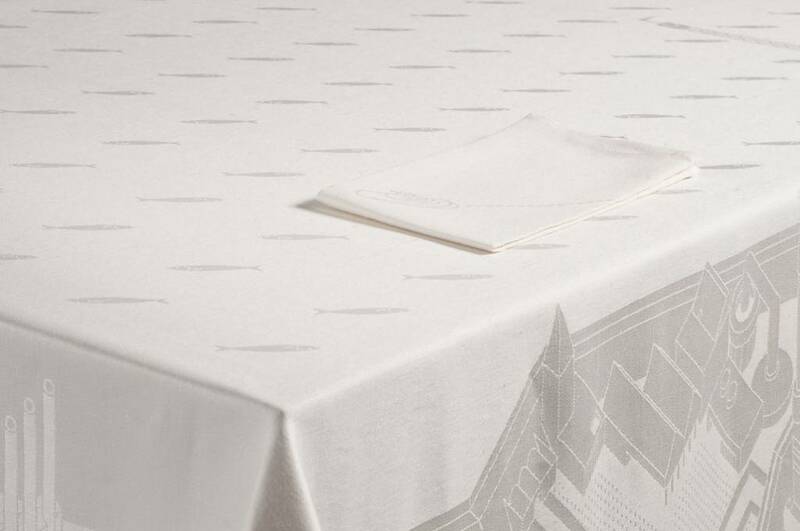 This table linen was developed to commemo­rate the 200th anniversary of the Kingdom of the Netherlands in 2014. 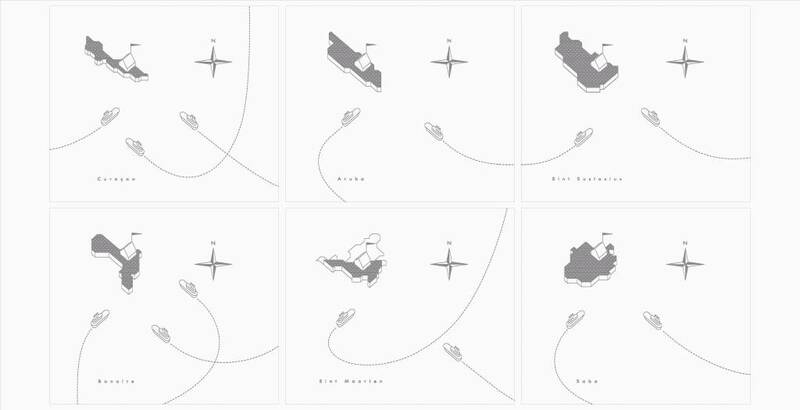 Between the 200 fish and the land, dikes and other structures show how the country is protected from flooding. 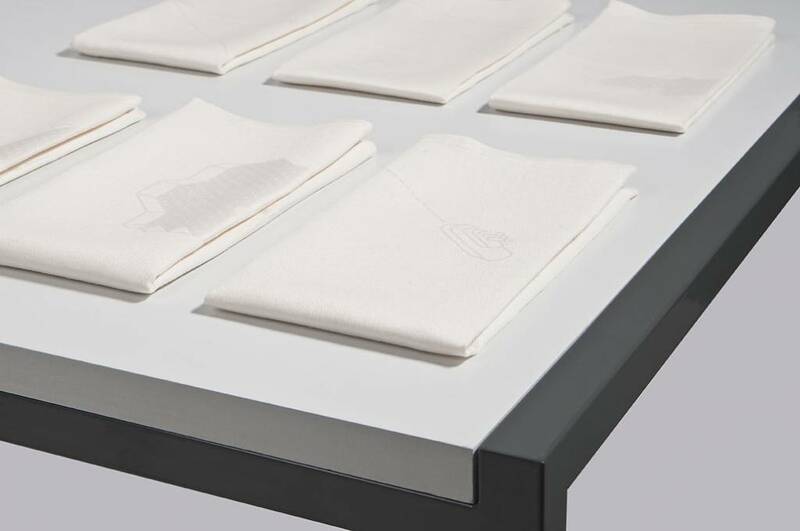 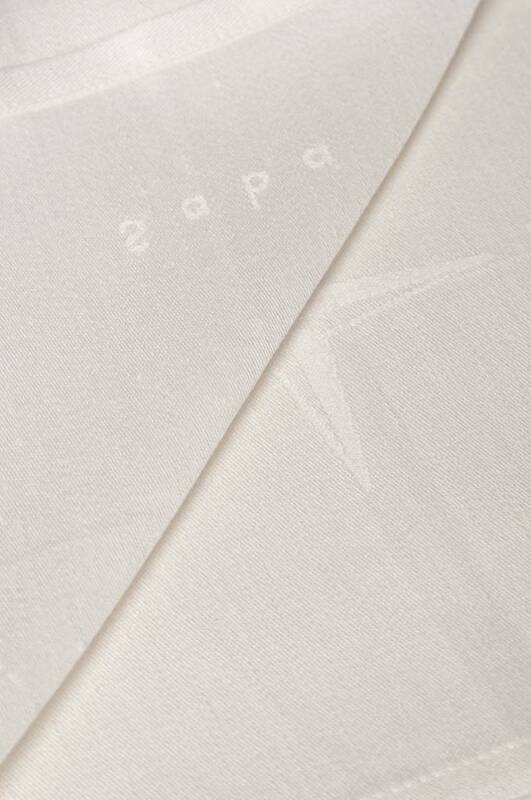 The napkins feature the six overseas territories: Aruba, Curacao, Saint Maarten, Bonaire, Saint Eustatius and Saba.